The Portland Bureau of Transportation is lowering the maximum speed limit on Capitol Highway between SW Taylors Ferry Road and Garden Home Road from 35 mph to 25 mph. The change will take place in the coming weeks as signs are replaced along the less-than-a-mile stretch of two lanes. PBOT put out the word late Thursday afternoon that the Oregon Department of Transportation had approved the lowering of the speed limit. That stretch of Capitol Highway, which begins and ends at the south end of the bridge over Multnomah Boulevard, is part of PBOT's so-called High Crash Network — one of 30 streets where more than half of all fatal crashes in Portland occur. It runs through a very residential area. The change has yet to be announced to the general public. The SW Connection received a release announcing the lower speed limit which was sent to those who have signed up for PBOT's mailing list. The release notes the timing of the change, "Lowering the speed limit on this part of SW Capitol Highway comes at a good time. We will begin constructing the SW Capitol Highway: Multnomah Village - West Portland project in about a year," according to the release. That project is currently scheduled to start next November and be completed in a year. It will add bike and pedestrian lanes on both sides of Capitol Highway. Reaction from a neighborhood activist who has been working to make that project happen was quick. 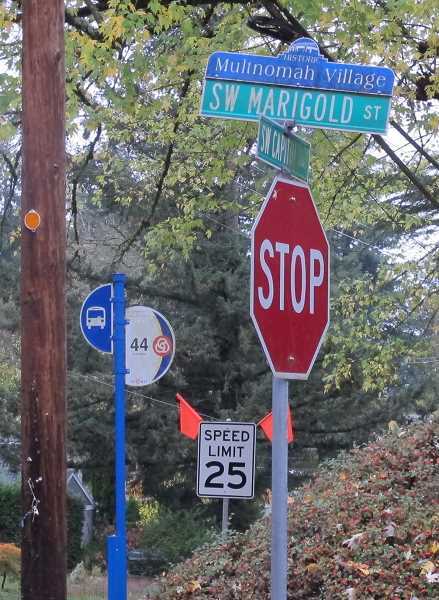 "This is a major win in our effort to increase safety on this corridor," wrote Chris Lyons in a message to members of the SW Capitol Highway Subcommittee of the Multnomah Neighborhood association.